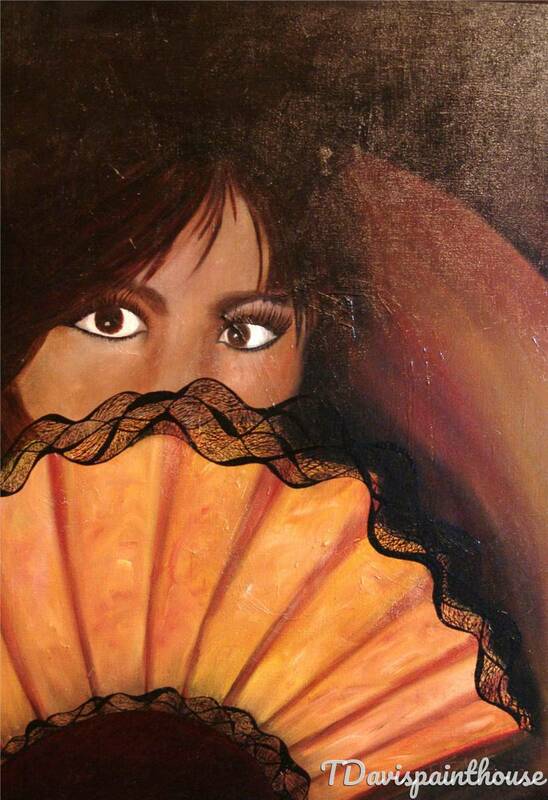 Brown Eyes Acrylic and Pen/ink on canvas 22" x 24"
Subject: Female with a lace edged fan done in a fine black India ink on top of the Acrylic layer. Acrylic colors are Orange, sepia, red, burnt umber, yellow ochre. This piece of artwork is sold unframed and professionally packaged for shipping at no cost to you.